1. When using the Magic Eraser Trick, consider whether you reeeeally need to do it. Can you dress to cover a tan smudge? Will it be dark and people be standing, so no one will notice your ankles unless they’re an ankle enthusiast, which would really be more their problem than yours? Will your lover really forsake you forever (or even notice it) if you just leave it there to fade / exfoliate away in a fee days? 2. If it is actually an Official Tan Disaster, you’re probably freaking out. Therefore DO NOT do what I did and scrub heartily at the offending smudges. Some totally legit Google research I did in the aftermath of my experience suggests that the damage I did could have been caused by the very fine foam material that makes up the spongey white component, rather than by the evil harsh home cleaning chemicals in it. The bit about the spaghetti bolognese is absolutely true, though. All exceptional points Dorothea. I will even update my post with a warning. Good God, stick to gradual tanner moving forward, won’t you? I am going directly to Priceline to purchase Loreal thechni-art. Such a good tip. I’ll see what my hair turns out like and i think it’s the perfect idea because mornings aren’t really my thing and I think this will make it easy for at least just my hair. Id love to know which dry hair shampoo you reccomend. It’s probably somewhere here on fruit beauty…? Batiste is fine by me! I wish I could wash my hair the night before, but my hair is so fine that it will literally be oily at the roots by the next day. Anyone else have this problem? Dry shampoo doesn’t work for me either. I have fine hair too, and its a pain. Dry shampoo does work for me – just remember that you need to use a heap of it. I usually only get 4/5 uses from a bottle of it. Argh, I have the same problems. I have found my people! Love dry shampoo, but like you Sarah, I only get 4-5 uses out of it. I can sometimes get away with washing my hair the night before, but it’s always a risk..curse you, fine hair! Eeek, almost purchased the mask online and realised it contains Kiwi Fruit (of which I allergic!). 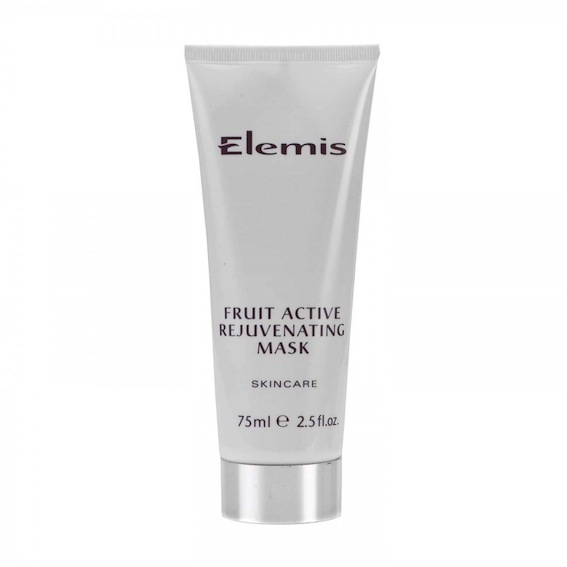 Zoe, are you able to suggest an alternative to the Elemis Fruit Active Rejuvenating Mask for a same-day treatment? Oui! Sodashi’s Brightening Mask is also very lovely/glow-inducing. Guinot’s Masque Dynamisante is the bomb diggity for same-daysies glow! I wish I could leave my hair up in a bun to create pretty waves. Left to its own devices like that, my hair would instead come out in awkward waves and generally messiness. I think its because my hair is naturally straight but isn’t really wavy either. Just fine and a bit meh. It needs ot be blow dried totally straight and then left alone. *Isnt naturally straight or wavy. I love these tips! Day beforesies also make me feel so much more relaxed when I’m getting ready on the day of – more time to swan around the house with perfect tan, hair and nails feeling all Beyonce-I-woke-up-like-this. How do you do said very high bun, fruity? Secure with an elastic, pins or a clip? I use a very 90s butterfly clip or a hairdresser alligator clip. HAS to be an animal-named clip, obviously. Those little el-cheapo claw clips you get from red dollar I find are the best cos they don’t leave crips in the ends of your hair like a band does. Also good because because of the different sizes you can get them in, I have very fine straight long hair so I only need the little ones, 2 bucks for a pack of 10, break easy, hurt if you step on one (or boyfie says) but best for an overnight bun and 2 bucks for a pack of 10! 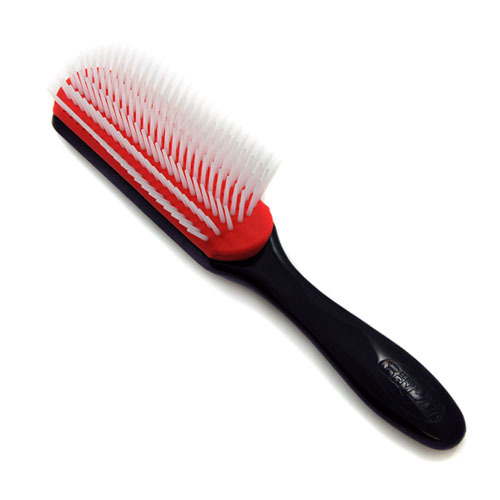 Hey Zoe, where can you purchase Denman’s brushes from? I need a good new brush for drying off my hair! I’m dying to have glamorous waves!!! tried so many styling products, sea salt sprays but still couldn’t get it right. 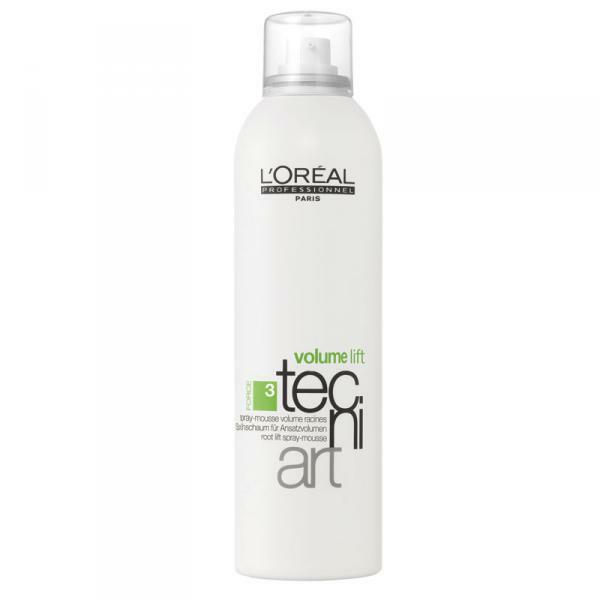 Hopefully, this L’Oreal Professional’s Tecni.Art Volume Lift Root Spray-Mousse is the key! Would definitely try your suggestion, thanks Zoe! Ahhh, zoe the only negative things about your posts, is that everything that you recommend sells out that week and is unavailable. Good thing your line launches soon. Hey Fruity – this is completely off topic but i’m just curious as to what foundation you currently use? Or which brand you would recommend that provides excellent coverage but doesn’t need to be caked on or feel like a thick paste? thanks!! One word from me on all this: SQUUUUEEEEE!!! 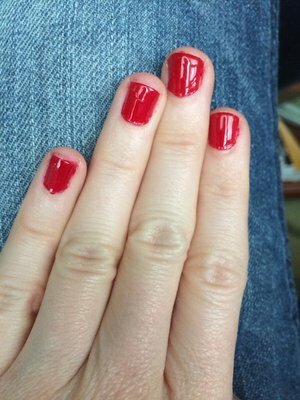 The other great thing about doing your nails the night before is any bits of nail polish around the edges from your not-so-perfect application will easily wash off in the shower the next morning. Before becoming addicted to Shellac, I would do this all the time – nail polish at night while watching telly (hence all the mistakes!) then emerge from my morning shower with a perfect polish!